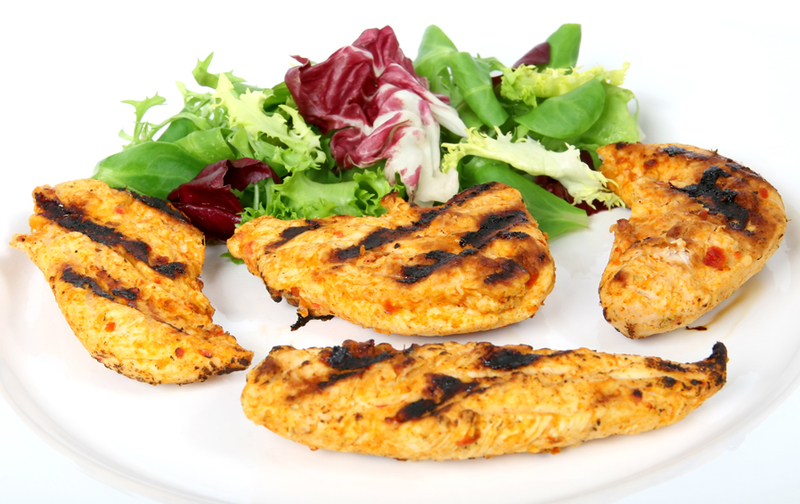 Buy lean-cut meat and trim off excess fat. Eat smaller portions as well. Marinate meats or use herbs and spices to keep them tender and moist, while providing more flavor. Avoid fried foods. Instead, bake, steam, broil, grill or roast meat and vegetables. Choose fat free or low fat dairy products, salad dressings and spreads. Use canola or olive oil (in small amounts) for cooking and salads. Season vegetables with lemon, lime or herbs instead of butter and oil.